Introducing the TRX™ Cymbals—the first and only line of genuine, handcrafted Turkish cymbals specifically developed to provide the extreme tonal, performance, and appearance characteristics demanded by today’s progressive drummers and drumming styles. To bring this ancient art to modern artists, TRX blends our state-of-the-art designs with traditional Turkish materials and manufacturing methods. This unique combination offers contemporary players legendary Turkish quality, consistency, versatility, and variety while also giving them a full range of fresh, exciting, musically relevant sounds to choose from. Founded by David Levine in 2005, TRX Cymbals was David Levine's project after leaving DW as the head of marketing, a position he held for 20+ years. David wanted to create a company that focuses on newer modern sounds that most companies do not offer. These cymbals features B20 Cast Bronze, Hand Hammering and thicker alloy to make it sound fuller and last much longer. 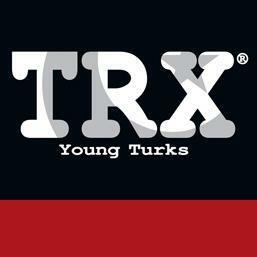 A TRX sounds like a TRX and nothing else can sound like a TRX. ​TRX Cymbals are made to order and thus are boutique cymbals, contact us if you would want to order special order any TRX Cymbals! Cobus, Youtube's most viewed drummer of all time. 0Offering professional sound and appearance at a surprisingly affordable price, the Special Edition Series from TRX is a new class of cymbals for modern drummers of all ages and abilities. The handcrafted, hand-hammered, B20 Bronze cymbals feature a full, rich tonal spectrum and a deluxe, two-tone finish. They are highly recommended for a wide variety of contemporary musical genres and playing situations. Developed to combine the rich, warm tone of vintage cymbals with the more aggressive performance characteristics required by modern players, TRX "Icons" are a versatile, musical yet progressive series of cymbals from the TRX Cymbal Co.
New TRX Blends are a combination of two cymbals in one. The “mash-up” is a blend of TRX’s MDM and BRT series that features a medium-weight, lathed MDM outer section combined with a heavier, polished BRT inner section and bell. This creates a cymbal with a progressive blend of warmth, brightness, sustain and power that’s unlike other cymbals and perfect for many modern musical styles. But ALT Series cymbals are not just stronger, brighter and more responsive than conventional midrange cymbals—they have been carefully designed and custom-crafted to offer drummers an all-around alternative for today’s more aggressive modern and mainstream styles. Extra heavy with a brilliantly polished, unlathed playing surface, the TRX BRT Series has a focused, high-frequency spectrum and an intense, powerful sound. However, even though it provides increased presence and projection in high-volume, high-energy drumming situations, due to the rich, multi-faceted tone of our B20-Plus alloy and the skillful hands of our expert cymbalsmiths, the BRT Series is also extremely versatile and incredibly musical. In addition to its balanced blend of depth and warmth, the line’s classic tonal tendencies are further enhanced by a distinctive low-profile design and an unlathed, natural finish as well as an exclusive pre-aging process and extra-deep hand-hammering by our master cymbalsmiths. MDM cymbals provide exceptional sound and performance in a variety of general drumming applications bringing the superior quality, consistency and individuality of handcrafted Turkish cymbals to today’s young but discriminating drummers. The new cymbals are a redesign of one of the company’s original and most popular lines and have been developed for players who desire warmer, darker, classic cymbal sounds without sacrificing the power and projection required by contemporary styles and situations.